Sock Yarn. Face it. It’s pretty stuff! The fiber content and color variations are endless and always seem to be so well matched. However, I’m not into making socks. (Truth be told, I don’t want to work that hard and stuff that pretty yarn into my shoes!) Since I’m a hat addict, the logical solution for me is to make a hat with it! 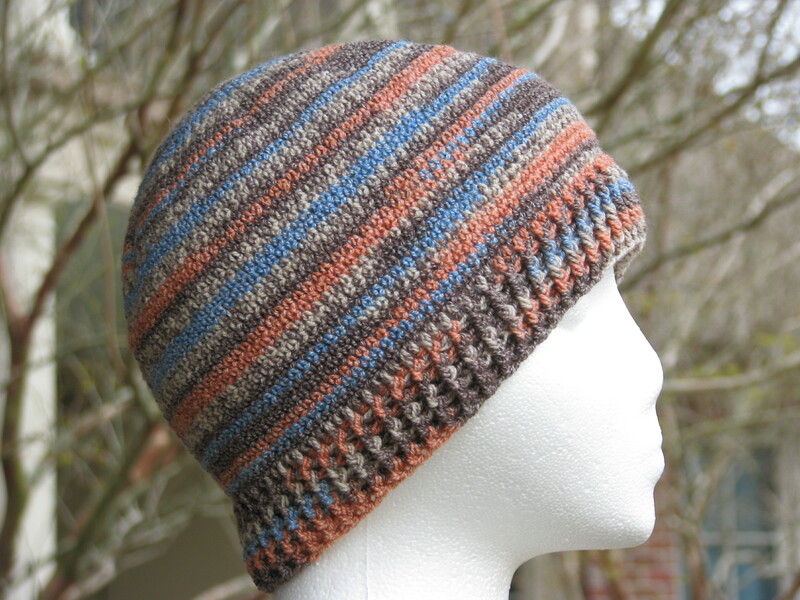 Fact: It takes 2 skeins to make 1 pair of socks but only 1 to make a hat! Fact: As a general rule, self-striping yarn works better with knitting, however, you can get great results with single crochet! Fact: Sock yarn is usually a weight category of 1 (aka “Super Fine”), thereby needing small needles or hooks. I used a 3.5mm hook (aka “E” in American terms) thereby making the work go slower! Fact: The results are worth it. Opinion: I wouldn’t recommend the use of sock yarn to a beginner simply because of the fine yarn weight/small hook. 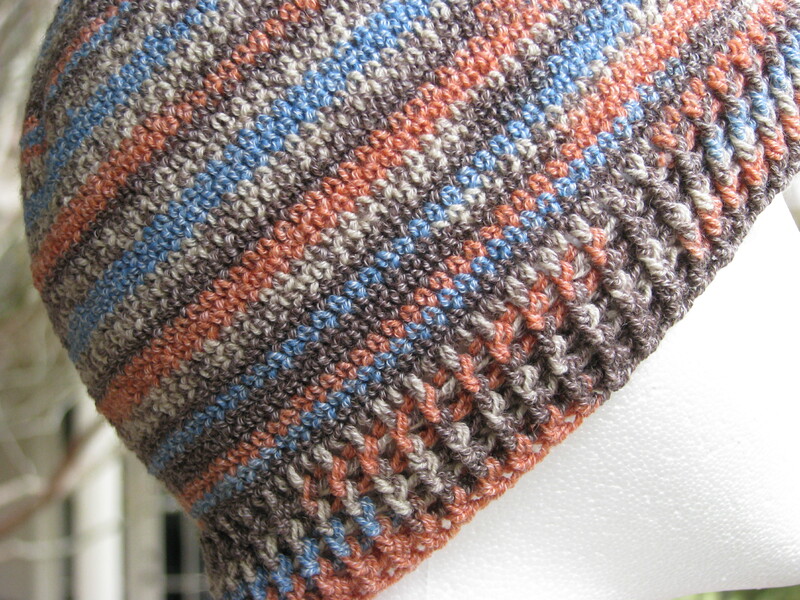 Single crochet gives nice results with sock yarn striping. Rnd 1: 12 sc in a loop but don’t join! Rnd 2: 2 sc in ea sc. (24 stitches) Put a marker in the first stitch of this round! Note: I stopped single crocheting about 1.5” from desired length and added a Front Post/Back Post Double Crochet Ribbing for the bottom of the hat.